Sometimes organic isn’t always the best thing for you. Sometimes we can’t afford to buy organic, there just isn’t the time or it isn’t suitable for our needs. Of course what I’m talking about is flexible, responsive and content managed web design on a budget! There are some impressive pre-built WordPress powered ‘themes’ that we can work with as a kind of ‘framework’ to give us a head start for producing beautiful responsive websites. Our organic design process of detailed planning, interaction then visual design and bespoke build is the core of our business. A process we are incredibly proud of for communicating client business and brand values through detailed understanding of your requirements. Not everyone is looking for this level of input or problem solving though; and this is where using a ‘theme’ as a starting point can save both time and investment, when both may be limited. 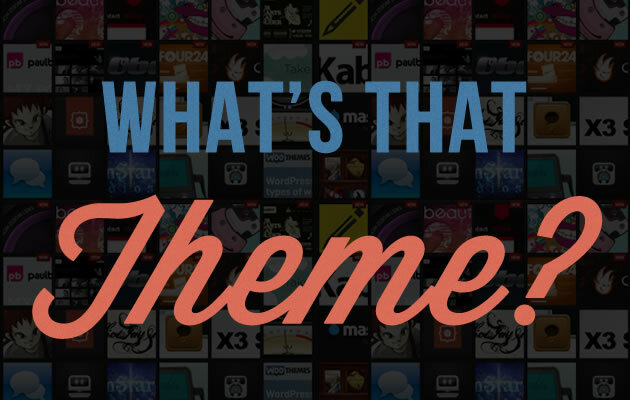 So what makes using a theme appealing? In essence, we take your chosen theme and make it yours; adapting it to your site structure, applying your brand identity, copy, images and any other content. By the time we’re finished the end product is transformed from being something generic to something personalised and representative of your business. For our clients in Newcastle web design is about your specific needs and we see our role as being a consultative and advisory one – providing you with the best advice and a solution that meets your needs. Maybe a themed approach would be suitable to your next project? If you’d like to know more, please get in touch as we’d love to show you some of the theme-based projects we’ve worked on to date.